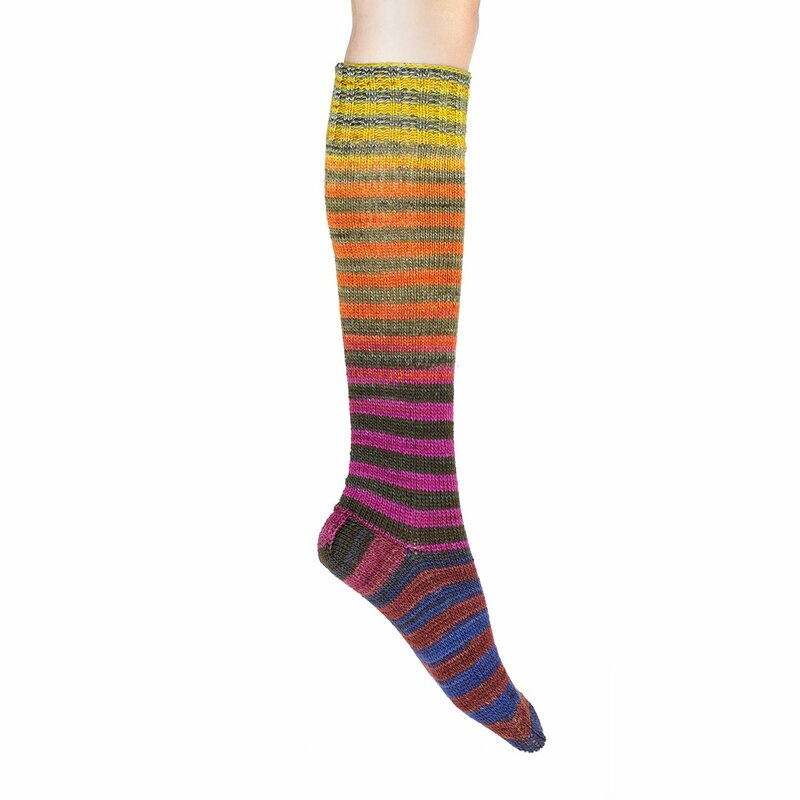 This NEW self striping sock kit for matching socks is amazing. Easily knit perfectly matching socks from cuff to toe (or toe to cuff). Ready to knit two at a time socks as well! Each kit contains 2 pre-wound matching cakes of beautiful sock yarn. A truly unique self striping hand-dyed merino collection of vibrant colors. Each cake is a work of art. Fiber Care: Machine washable. See label for complete care instructions.